Coral reefs are increasingly vulnerable to stress factors, such as poor water quality, toxic substances from sunscreens, the massive arrival of sargassum, climate change, etc. For this reason, the National Commission of Natural Protected Areas (CONANP) – together with the UNAM-BARCO LAB’s Institute of Marine Sciences and Limnology, Healthy Reefs, GIZ’s ADAPTUR project, the Mexican Fund for the Conservation of Nature (FMCN), the MAR Fund, the Central American Integration System’s Development and Environment Commission (CCAD-SICA) and UNDP’s GEF-Resilience project – called for the design of an Action Plan. © ADAPTUR/Photo: Mariana Rodríguez Aguilera. Aerial view of the Riviera Maya. 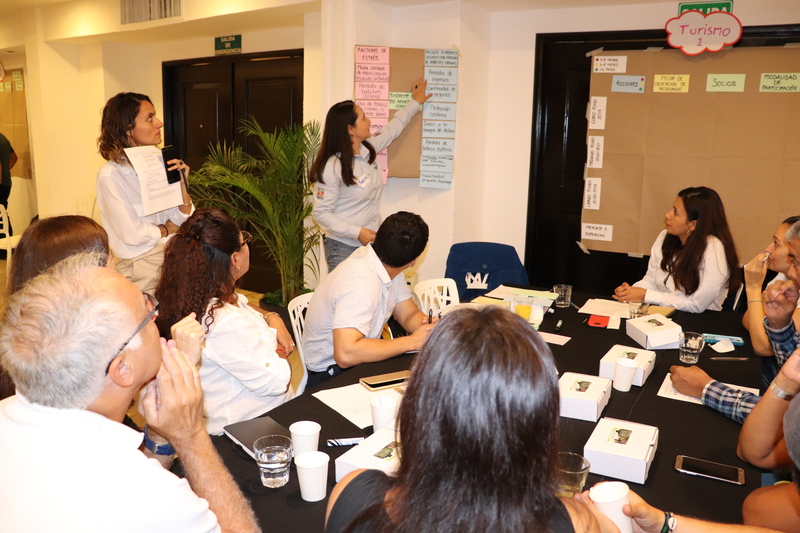 On March 8, about 70 key stakeholders defined strategic actions to implement in the short-, medium- and long-term aimed at improving tourism practices, the integrated management of the coastal zone, and water and fisheries management. Coral reefs are an important economic source for tourism. In Cozumel alone, diving generates an estimated $4.662 million pesos of direct benefit each year. In addition, coral reefs protect against hurricanes and help with the formation of beaches. ©Photo: Lorenzo Álvarez Filip. White syndrome observed in corals. The ADAPTUR project provides technical assistance to the tourism sector for adopting Ecosystem-based Adaptation (EbA) solutions in Mexican territory and for its investment decisions. The project is implemented by the Deutsche Gesellschaft für Internationale Zusammenarbeit (GIZ) GmbH together with the Ministry of Tourism (SECTUR) and Ministry of the Environment and Natural Resources (SEMARNAT), and receives technical support from the National Commission of Natural Protected Areas (CONANP) and the National Institute of Ecology and Climate Change (INECC). ©ADAPTUR/Photo: Nallely Hernández Palacios. Key actors building the Action Plan.